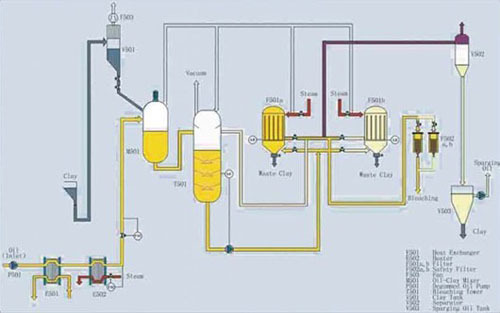 Oil refinery plant refers to a series of refining processes that can remove phospholipids, FFA, pigment, off-flavor and other impurities in the oil. Edible oil refinery or vegetable oil refinery is essential to ensure removal of gums, waxes, phosphatides and free fatty acid (F. F.A.) from the oil. To impart uniform colur by removal of coloring pigments and to get rid of unpleasant smell from the oil by removal of odiferous matter. 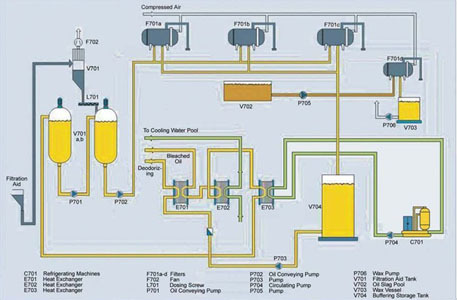 There are two refining methods for the vegetable oil refinery in the ebtire oil refinery plant.They are physical refining and chemical refining. Physical refining means removing gum in oil during process of degumming in special method and removing FFA in process of deodorizing by steam. Chemical refining, however, means removing FFA in a chemical way ( Acid-base neutralization). 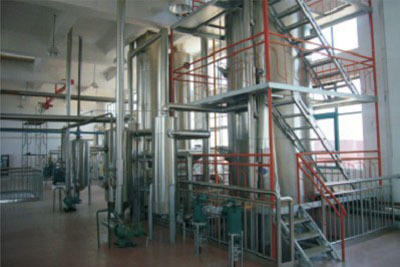 Gum and soap foot produced is separated by centrifuges. The finished oil is consistent and stable. Excellent adaptability and less requirement to oil quality. 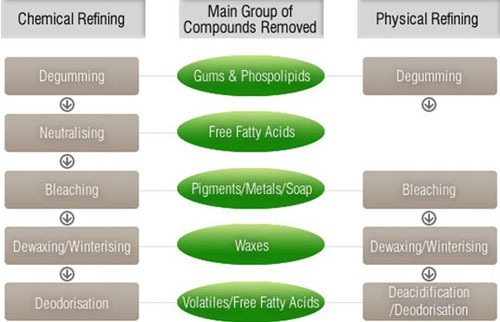 Less bleaching earth is added into compared with physical refining. High oil refining rate, less oil loss. Especially suitable for oils of high acid value, and low gum content. With Over 10 years/ experience of designing & installing & exporting complete oil refinery plant like vegetable oil refinery, we are now the leading company in edible / vegetable oil refinery field. We supply various edible / vegetable oil refining equipment and technology to ensure that best finished oil is achieved with the lowest production cost. If you'd like to get more information about our oil refinery plant,please contact us in the following form. We are always at your service.